July 24, 2017 By Claire Davidson & filed under Blog. 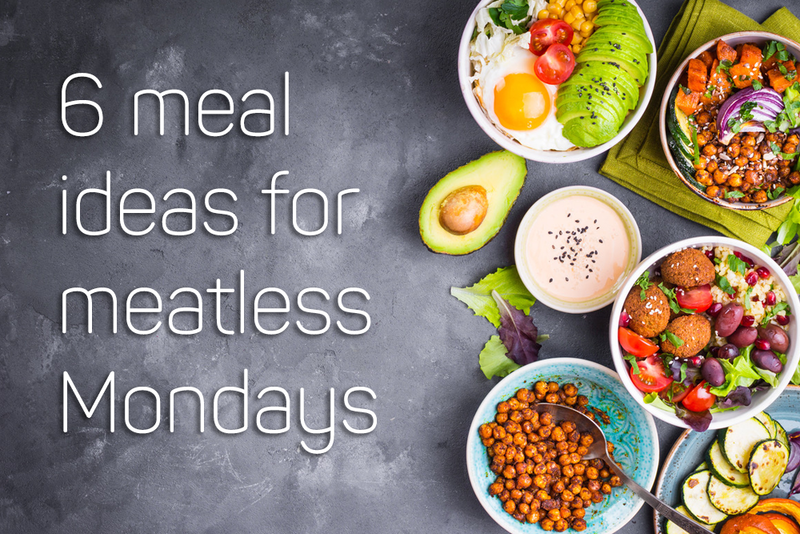 Whether you’re a committed vegetarian, need to get some extra servings of veggies in your diet, or just want a few quick and tasty recipes, these meatless meals are straight-up mouthwatering. 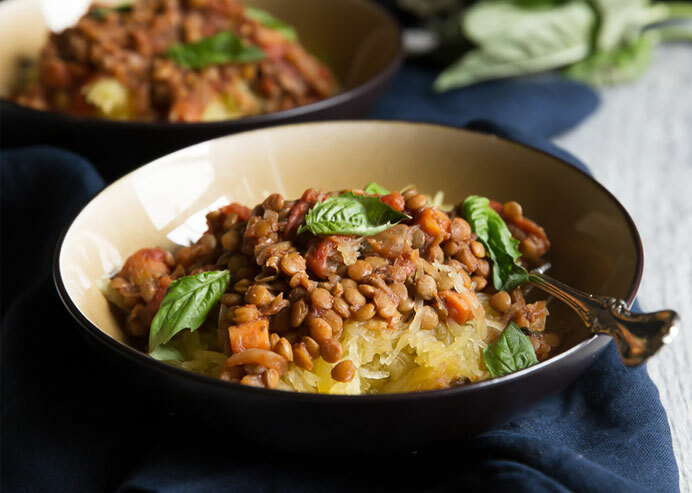 The belief that vegetarian meals have to be bland or unsatisfying is completely untrue—with the right ingredients, you can easily get enough protein and flavor to find your new favorite dish. Another great thing about vegetarian meals is that they’re often much quicker to prepare, thanks to the fact that you don’t have to cook any meat. From summer squash pasta to lentil sloppy joes you’ll be salivating over, make one of these six delicious meatless meals for dinner tonight. Fact: you can eat a gigantic bowl of squash noodles for the same number of calories as a very small bowl of regular noodles. Sound appealing? That’s just one of the reasons making pasta with squash or zucchini has become so popular. Another reason is that squash noodles taste delicious and give you an extra serving of veggies. 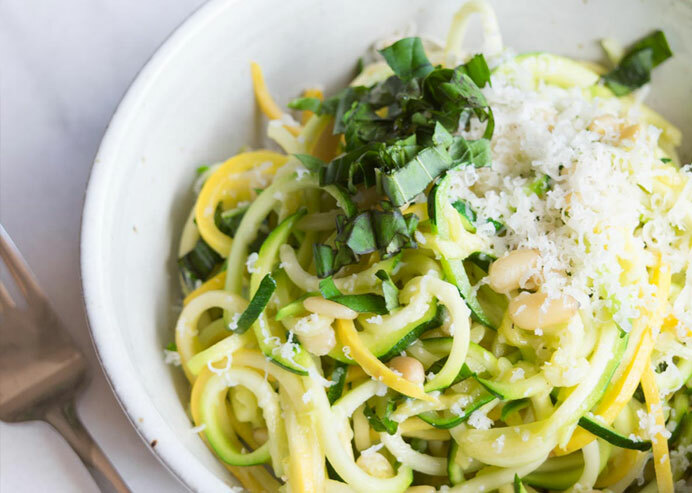 This recipe combines squash and zucchini noodles and gets topped with a decadent mix of parmesan, pesto, basil, and pine nuts. Next time you have a craving for Sloppy Joes, try this vegetarian version instead! It swaps lentils for meat and even uses a homemade sauce instead of the store-bought version usually paired with traditional Sloppy Joes. Plus, this protein packed recipe takes only 10 minutes to throw together, and the leftovers taste amazing! Next time you’re craving a tasty (and quick!) meal, consider this your new go-to. 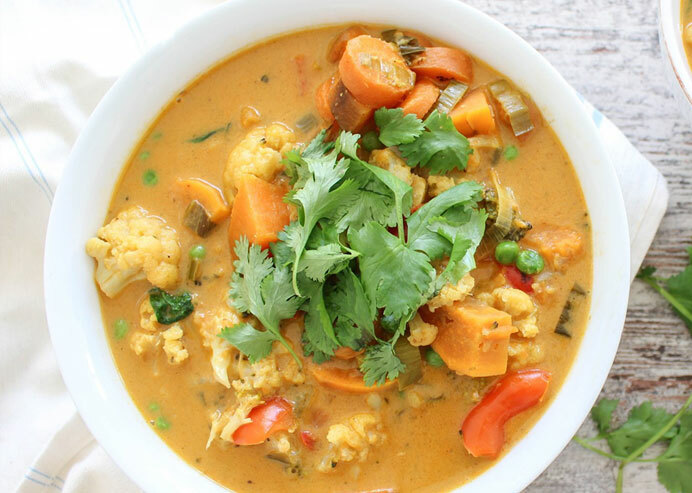 Is there anything more satisfying than a warm, hearty bowl of curry? Not only is curry naturally bursting with flavor, but the turmeric which is found in many curry pastes is super good for you. Turmeric helps reduce inflammation in the body and can even boost your immune system. 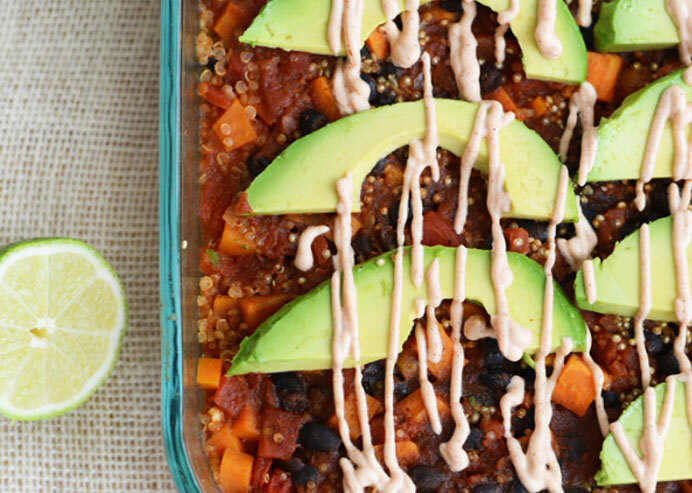 Cozy up to this vegetarian version that’s filled with extra veggies tonight! If you’ve ever had a Thai summer roll, you already know how tasty this will be! This vegetarian and gluten free dish is bursting with flavor and full of vitamins and nutrients. 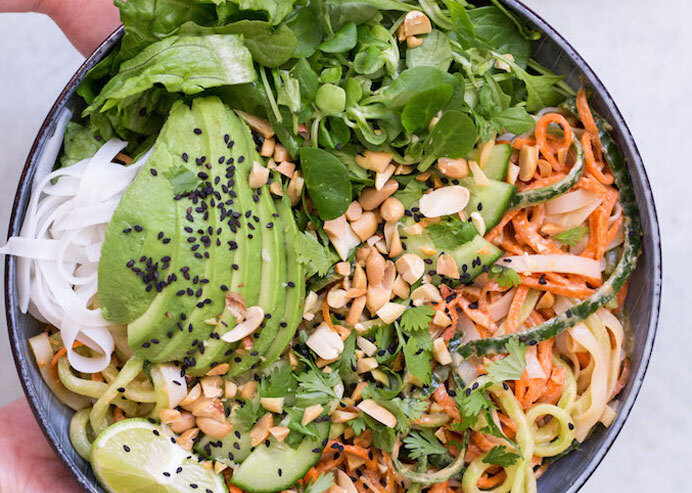 It’s made up healthy veggies like peppers, carrots, salad greens, and more, and then topped with brown rice noodles, avocado, and a few other healthy ingredients. It all comes together with a decadent peanut lime sauce that’s at once both sweet and savory. Who said meatless had to be boring?! Let’s face it, the dinners we turn to again and again are usually the ones that not only taste good but are easy. After a busy day, we don’t always have the energy to cook over a hot stove for hours on end. That’s what makes this casserole so great: it tastes great and just requires you to throw together a few basic ingredients in a baking dish. Oh, and it’s completely vegetarian and super good for you thanks to the sweet potatoes, tomatoes, beans, and quinoa that make up the base. 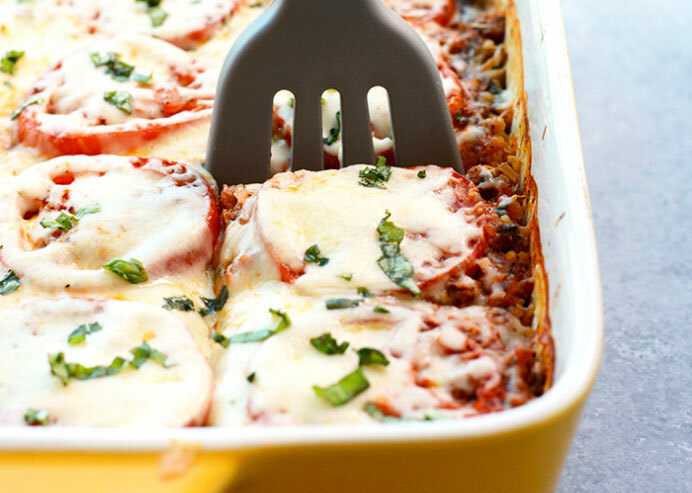 Lasagna seems to be the ultimate comfort food, but it’s usually laden with fat and not exactly the healthiest dinner option. This version, however, is filled to the brim with veggies like spinach and onions, plus it contains quinoa to keep you satisfied. Not to mention, this easy meal is both vegetarian and gluten free and it takes just ten minutes of prep work. Don’t be surprised if everyone at the dinner table demands seconds! What’s your favorite meatless dish? Let us know in the comments!